Deep in a forest, in one of the Order/'/s prisons, a young boy named Capell was being held captive. His captors called him the "Liberator," though he had no clue as to what they meant. On the third day of his imprisonment, he was rescued by a spirited young woman named Aya. She was a member of a small band of brave warriors who had gather.. In ancient times, mysterious artifacts referred to as Remnants were discovered all over the world. People used these objects for their awesome powers — a choice that eventually began to cause a rift in the world/'/s balance. Equality was replaced by those who ruled and those who were ruled over. War was inevitable. A thousand years later is when th..
Star Ocean: The Last Hope is the fourth entry in the futuristic space opera RPG series, the long-awaited continuation of the celebrated science fiction and fantasy RPG series. This prequel set during the aftermath of World War III combines sci-fi and fantasy elements spanning multiple planets and the vastness of space itself to recount the origins .. The third installment in the Deus Ex series is on the way to the Xbox 360. Play as Adam Jensen, a security specialist, handpicked to oversee the defense of one of America/'/s most experimental biotechnology firms. But when a black ops team uses a plan you designed to break in and kill the scientists you were hired to protect, e..
Yosumin! is a puzzle game where you find rectangles of matching tiles known as "yosumin" and make them disappear. Make massive rectangles for the ultimate feeling of satisfaction! Yosumin! is a deceptively simple yet fiendish challenge, and it/'/s not just about solo play—there are online battle modes to enjoy as well!.. Eidos/'/ comic book-inspired action title follows the caped crusader as he takes on the Joker and other supervillains in the titular madhouse. [Japan Import]..
Gyromancer: A fusion of puzzle and RPG gaming. You are Rivel, a powerful mage who leads fearsome beasts into battle as he explores the depths of Aldemona Wood. Master a deep--and deeply addictive--battle system. Twelve stages of play against dozens of unique foes. Gyromancer is a puzzle-role playing game (RPG) featuring a unique battle system .. Shoot your robot/'/s lasers, sprint to disorient enemies, and use your shield to reflect incoming shots. Complete each stage/'/s objective, or else suffer. DEATH BY CUBE is an exhilarating action game in which you must take out endless hordes of enemies, while avoiding the rapid barrage of their fire that envelopes the screen. 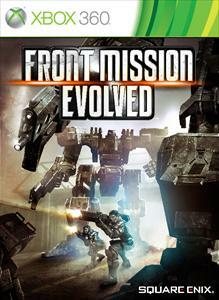 Take advanta..
Front Mission Evolved brings the classic Front Mission franchise to the Xbox 360. Terrorists have slipped under the radar, commencing a surprise attack on New York... Front Mission/'/s latest evolution is a new breed of third-person shooter, placing you at the helm of massive humanoid war machines called wanzers to purge the enemy threat. Do bat.. AD 2031...A new era. Sophisticated and complex technologies are now contributing to the advancements of mankind. However, the world’s governments are crumbling, new corrupt powers arise and conspiracies proliferate. The truth behind the proscribed technology could destroy the very core of humanity. Join a rogue team of agents as they fight for surv..
Lara Croft and the Guardian of Light is the first downloadable, co-op action/adventure game to ever feature Lara Croft. Lara Croft and the Guardian of Light will be included in Microsoft/'/s Summer of Arcade promotion and exclusive to the Xbox 360 for a four week period. .. Developed by Square Enix, Gun Loco is a third person shooter coming exclusively for Xbox 360. The game features a collection of crazy criminals, racing to escape from a distant prison planet. ..
At the dawn of the 22nd century, an evil power brought inanimate objects to life, and they turned on humanity. Bridges, cars, cups-the whole of humanity/'/s creations turned on their makers. But hidden amongst humanity/'/s survivors, an elite unit of specially trained ninja known as Moondivers has been lying in wait for orders to reclaim the planet.. Created by Strider Game Designer, Koichi Yotsui, Moon Diver features 12 stages with local and online drop-in/drop-out co-operative play for up to four players. The Earth lies in ruins. In the year 2081, five warriors suddenly appeared during an eclipse and began the fight to take back Earth. Introducing MOON DIVER, an easy-to-control side-scr.. 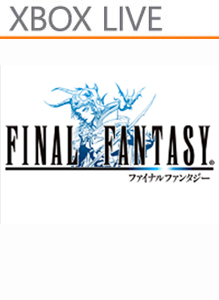 Developed by Square Enix, FINAL FANTASY XIII-2 is the follow-up to the 2010 hit title FINAL FANTASY XIII, and the latest installment in the world-renowned FINAL FANTASY series. [b]Features[/b] [ul][li] Player-driven scenario with freedom over story progression; Multiple endings offer extensive replay value [li] Tame and develop over 15.. Welcome to Hong Kong, a vibrant city twhose exotic locations hide one of the most powerful and dangerous criminal organizations in the world: the Triads.You play Wei Shen, an undercover cop trying to take down the Triads from the inside. You/'/ll have to prove yourself worthy as you fight your way up the organization, taking part in brutal criminal..
Mensa Academy is a brain training game that will give player/'/s minds the ultimate cerebral workout. 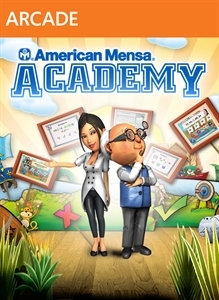 Created in collaboration with American Mensa, American Mensa Academy offers players the ability to determine and improve their Mensa Score in Play, Coach and Test modes. Play mode challenges players to take on 100+ replayable levels i.. Using Kinect gestures and voice commands, players fight through 21 different levels, complete with bosses. .. Initially released in Japan in 1987, the original FINAL FANTASY amazed audiences with its rich story and stunning graphics. Players guide the Warriors of Light as they set out on a quest to restore the crystals to their former luster. Its side view battles, choice and promotion of character classes, and sprawling world explored with fantastic .. Lightning Returns: Final Fantasy XIII is a new FINAL FANTASY adventure that gives the player direct control over iconic heroine Lightning in a constantly moving, expansive environment, on a quest to save a doomed world from complete destruction. How will you spend your final days?.. The Hitman Trilogy HD includes high-def versions of Hitman 2: Silent Assassin, Hitman: Contracts and Hitman: Blood Money. Experience more than 40 intense missions across 3 classic Hitman games, each re-mastered in glorious HD. Whether you/'/re a longtime fan or new to the franchise, this is your opportunity to take on the contracts that defined ..
[ul] [li] PUZZLE – Play through 60 levels, destroying the silver puzzle blocks and clearing the board by completing the targets. [/li] [li] ENDLESS - No level, no stage – compete against the world in Endless mode and use multi gems to rack up huge scores. [/li] [li] BLITZ – Take on your Facebook friends in the 60 seconds KooZac Blitz mode - c.. The Caves and Cliffs Multiplayer pack features three new multiplayer maps: Scavenger Caverns, Cliff Shantytown and The Burning Village. Each of the maps is playable in all four game modes: Rescue, Cry for Help, Team Deathmatch, and Free for All. [b]Scavenger Caverns[/b] An extensive subterranean network of caves used by the island’s scav.. FINAL FANTASY XI: Seekers of Adoulin is the 5th installment in the decade strong online role-playing series. Battle, explore, talk and trade your way through a world of missions, quests and intrigue! .. Murdered: Soul Suspect is an upcoming action-adventure game for Xbox 360, PlayStation 3 and PC. The hardest case to solve is your own. 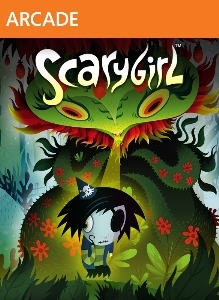 [ul][li] A compelling and twisting storyline supported by a great cast of intriguing characters to make you constantly question the secrets that Salem hides, Motion capture and voice acting provides an incred..
After uncovering an ancient mystery, Lara Croft embarks on a journey throughout the most treacherous and remote regions of the world to find the secret of immortality. Forming powerful new alliances and relying on her intellect and survival skills, Lara will ultimately embrace her fate as the Tomb Raider. Featuring epic, high-octane action moments ..